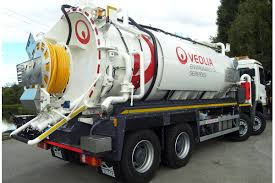 To carry out assigned and designated duties relating to the operation of a Vacuum tanker based primarily on the Stanlow Oil Refinery in accordance with all company policies and procedures in a Safe and profitable manor. To ensure that all sewerage collection points are maintained at a low level to allow the continuation of the site sewage. If required to act as cover for other site tanker activities. To act as ambassadors on behalf of the company, ensuring that the client is treated courteously and respectfully and that their requirements are complied with where safe to do so. You are to ensure that all Road Traffic Accident and other minor incidents are reported at the very earliest opportunity to the office and that the damage is noted on the Daily Vehicle Checklist until repaired. Ensure that the vehicle(s) that you are using is/are road worthy and that the Vehicle Daily Check List has been completed and handed in listing all minor faults found. Any faults affecting road worthiness are to be rectified prior to departure or the vehicle is to be exchanged. Ensure that faults are reported at the end of each shift. On arrival on site you are to review the Method Statement and associated paperwork, carry out your own Risk Assessment, check that the documentation that you have is accurate and discuss your findings with your team members prior to commencement of work. If issues are encountered which you can not resolve at the earliest opportunity after commencement of work you are to establish communication with the office by radio or telephone as appropriate. Where variations to the Method Statement / paperwork occur on site, you are to discuss these variations with the industrial services management team in the first instance. All authorised amendments on site are to be noted on the forms provided for feedback and improvement to take place. Authorisation can only be given by Industrial Services Manager / Assistant or Shell Industrial services coordinator and this agreement must be recorded.